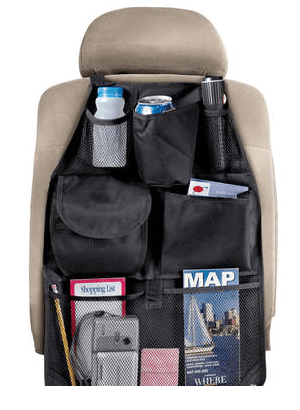 Save 73% on the Back Seat Organizer - 6 Pockets w/ Umbrella Holder! Save 73% on the Back Seat Organizer – 6 Pockets w/ Umbrella Holder! The Back Seat Organizer – 6 Pockets w/ Umbrella Holder is on sale for $7.90 at Tanga.com right now. That's 73% off the retail price of $29.95!